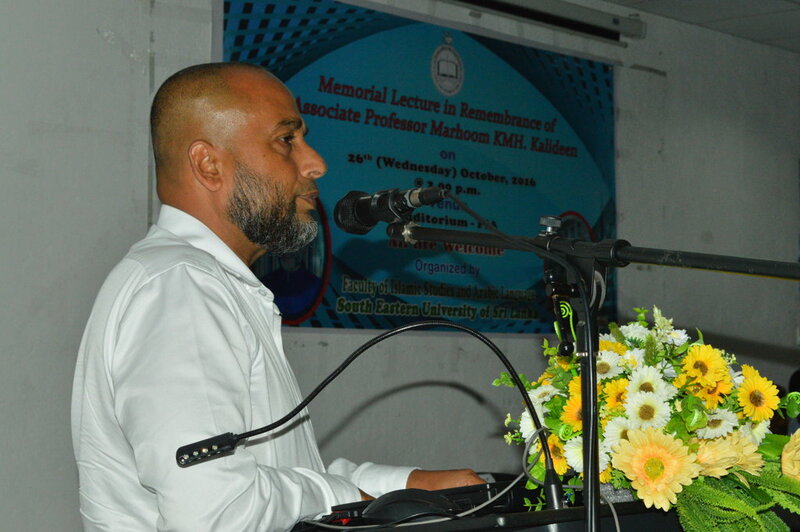 A Memorial Lecture in remembrance of Associate Professor Marhoom KMH Kalideen, who is the first Associate Prof. SEUSL and First Dean of Faculty of Arts and Culture of the South Eastern University of Sri Lanka was held on Wednesday at the Auditorium of the Faculty of Islamic Studies and Arabic Language commencing. 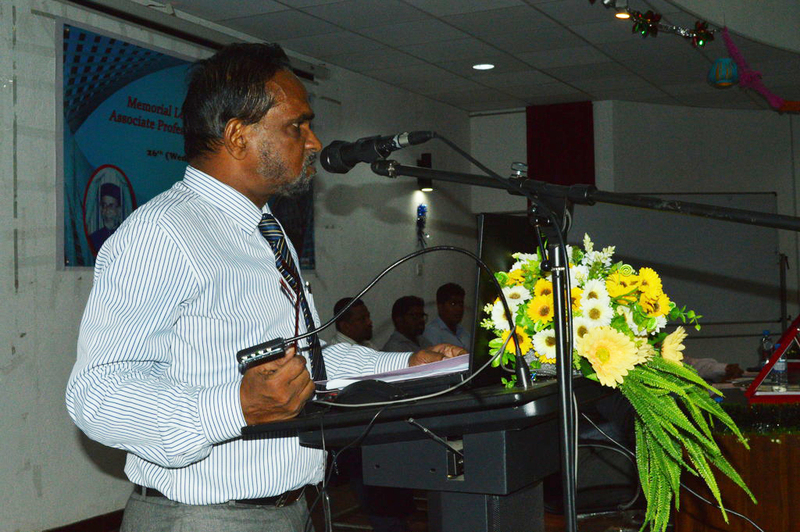 The programme presided over by Dean FIA As Sheikh SMM Mazahir was attended by the Vice Chancellor Prof. MMM Najim as chief guest. 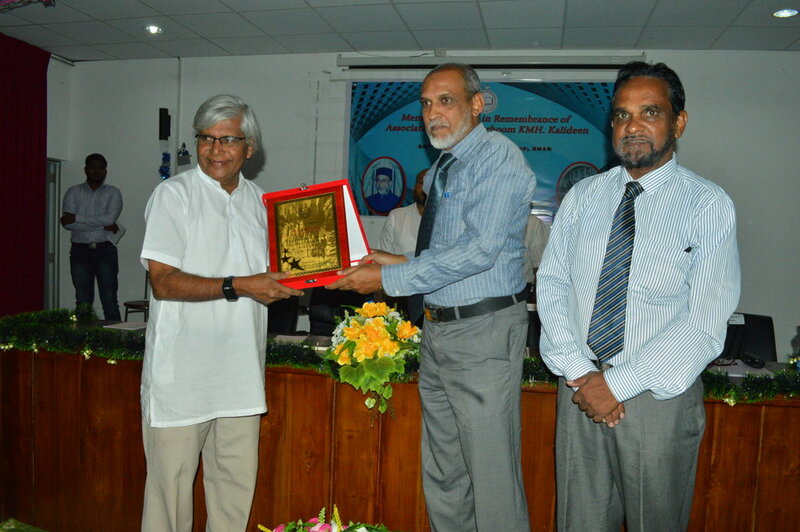 The Books Exhibition contained of Prof. KMH Khalideen's articles and books written on him by other writers and Poets was declared open by Vice Chancellor Prof Najim. 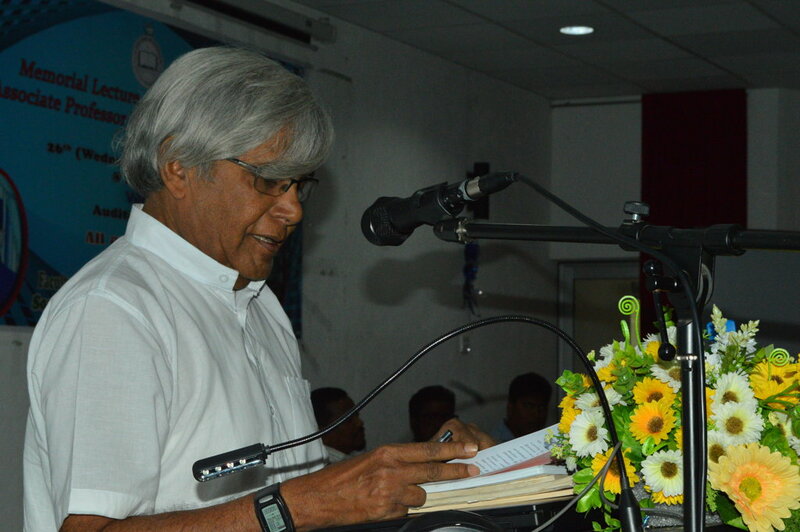 The key-note address was delivered by Retired Professor-Eastern University Prof.S.Mounaguru. 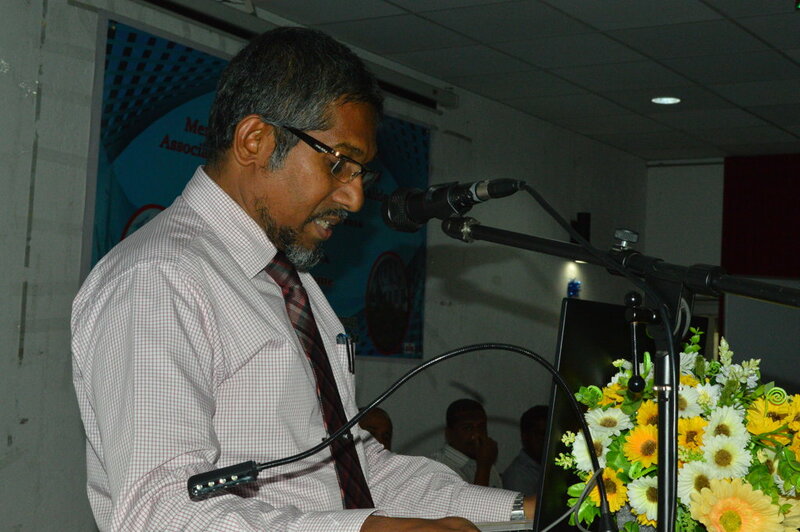 Introductory address was delivered by Senior Lecturer and Chairman of the Organizing Committee MSM Jalaldeen and the pictorial Biography presentation prepared by the Librarian MM Rifaudeen was presented by him. 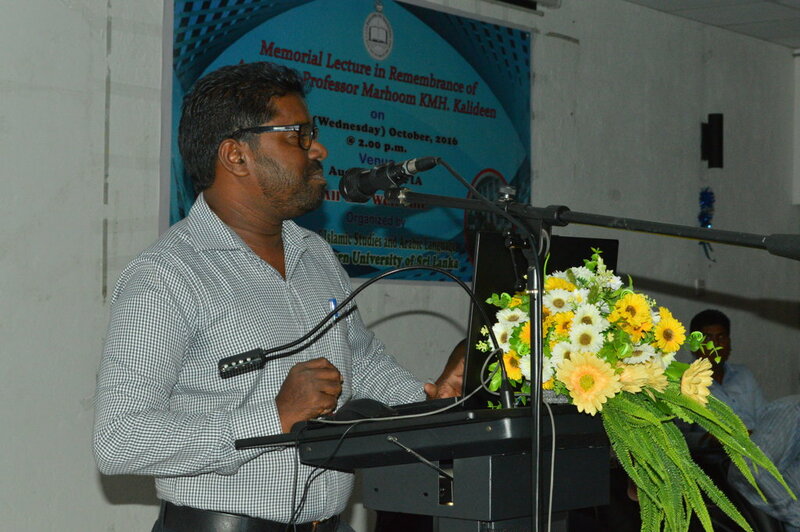 Prof. Mounaguru in his key note address said that Late Prof. Khaldeen who hailed from a remote village known as Kinniya in Trincomalee District is a close friend of him and possessed extemporary qualities and helped all those who were in need of his assistances. He has been very closely associating with Social Services movements not only in his own village but in the other the villages of Ampara District too for their socio, economic development. 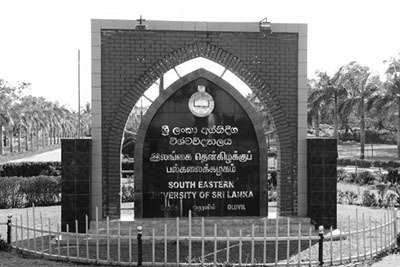 He played a major role in the establishment of the South Eastern University of Sri Lanka and undergraduate students who were stranded during the war times and for whom the University was needed. He always fought for affected people and never discriminated from one to the other. His loss was irreparable for the entire community specially those in the University community. 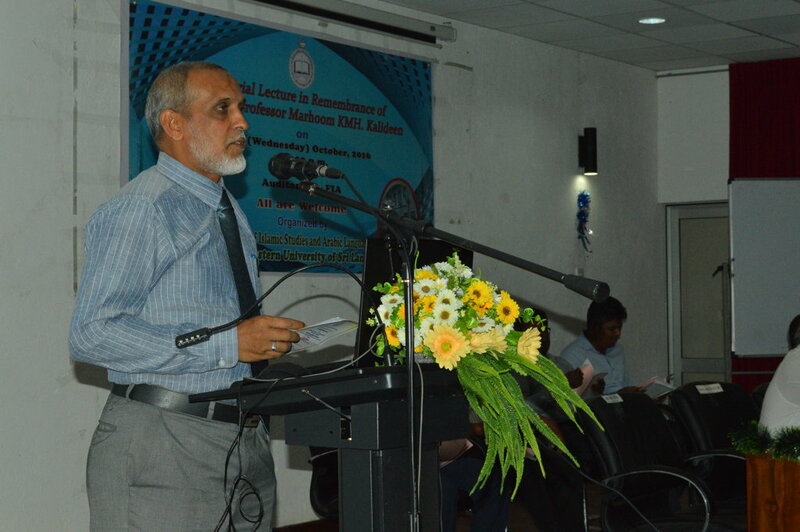 Head, Department of Arabic Language and Senior Lecturer MHA Munas proposed the vote of thanks. 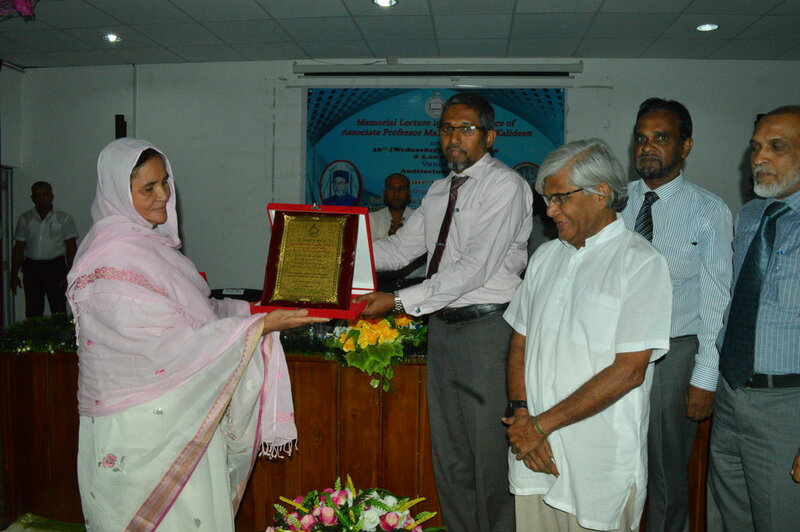 Vice Chancellor Prof. Najim presented a memento to the Mrs.Iynul Thooba Khaldeen, wife of Late Prof.Khaldeen as a mark of remembrance of the day and Dean As-Sheikh Mazahir presented a memento the key-note speaker Prof Mounaguru. 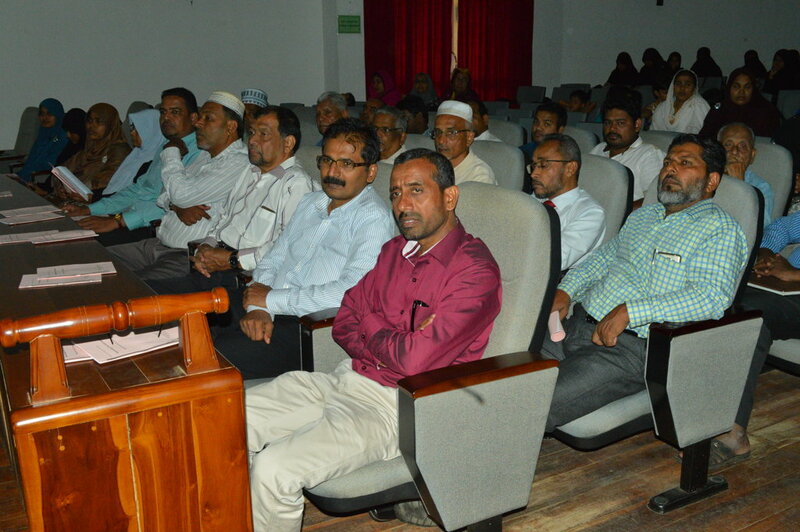 A large number University community including Deans, Heads of Departments, Senior Asst. Registrars, Asst. Registers and a large number relatives of his native place of Kinniya were also here to grace this ceremony.